Tucked away in Cabot Square on the Isle of Dogs in Tower Hamlets is a memorial to the man whose brainwave during a lunch in the early 1980s spawned the transformation of the derelict ex-West India Docks into the world banking centre we call Canary Wharf. Michael von Clemm was a colourful character who pursued an unusual combination of interests. Educated at Harvard in his native USA and later at Oxford in England, he became a leading investment banker – famed for extravagant expense claims and “bullying” clients to use his bank. Yet, perhaps surprisingly, he maintained an academic interest in anthropology throughout his career, holding a Professorship of Anthropology at Sussex University at the same time as senior positions with Credit Suisse First Boston bank (CSFB). That remark set off a chain of events that would change the face of the Isle of Dogs. When von Clemm presented his idea to CSFB’s board, one of the other board members, property developer Gooch Ware “G” Travelstead from Kentucky – who had been conducting painful negotiations to acquire office space for the bank in the City of London – said they were asking themselves the wrong question: instead of asking whether they could convert Shed 31 as a back office, they should be asking “Can we move our front office to the Isle of Dogs?” In other words, was it a suitable location for the bank’s main London operations, not just the support? 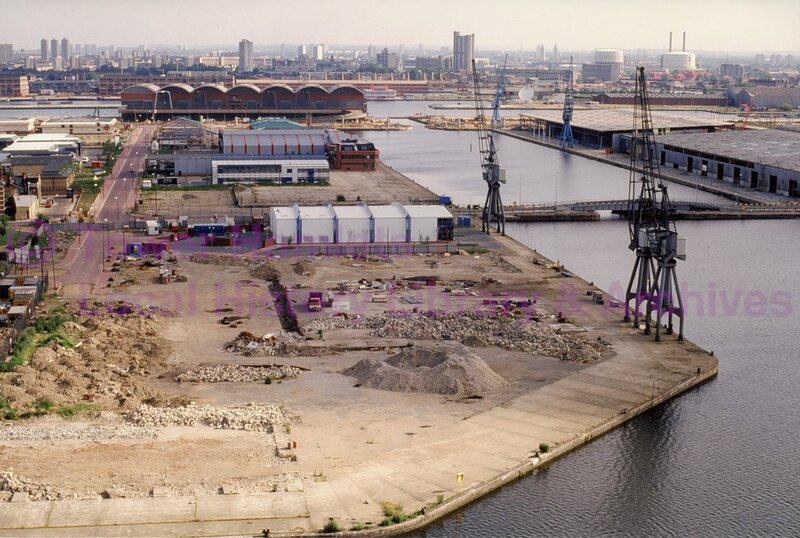 Travelstead went on to persuade the LDDC and the Government of Margaret Thatcher to locate a new financial district in the Isle of Dogs. He put together a consortium to build the project with banks CSFB and Morgan Stanley as prospective occupiers. When Travelstead’s consortium collapsed through lack of funding it fell to Olympia and York to carry the torch and develop the first stage before they too hit financial problems. But ultimately the vision was realised and Canary Wharf is now home to more banking activity than many other leading European financial centres. Von Clemm’s original thought was possibly prompted by his knowledge of Boston, where 18th century warehouses and been successfully converted into offices, shops, restaurants and living accommodation. Now the same has happened in London to docks that served the other end of the same transatlantic trade. Among his banking achievements, von Clemm is credited with a major role in founding the Eurodollar market which was to be one of the drivers in bringing London to the forefront of international finance. To many Londoners, a more visible legacy is the cluster of towers dominating the skyline at Canary Wharf. Michael von Clemm’s contribution to London is mentioned in Andrew Parnell’s walk Shipbuilding to Banking: The Isle of Dogs’ Story.